Here is a nice set of installation instructions. Note that this is a preview so I would suggest extensive testing before using in a live environment. This entry was posted in SCOM 2012, SCOM 2012 R2, SCOM 2016, Technical Preview and tagged #2012 R2, #2016, #Management Pack, #SCOM, #Technical Preview on September 29, 2016 by Warren Kahn. Technical preview 2 of the new SQL management packs are out for preview, get them here. This entry was posted in #SQL, Management Pack, Technical Preview and tagged #Management Pack, #SQL, #Technical Preview on September 2, 2016 by Warren Kahn. A minor update has been released for the Windows Server 2016 Guarded Fabric management pack preview it is available for download here. There is no guide with this download. This entry was posted in Management Pack, Technical Preview and tagged #Management Pack, #Technical Preview on June 24, 2016 by Warren Kahn. A preview has been released for the Windows Server 2016 Guarded Fabric management pack it is available for download here. The Windows Server 2016 Guarded Fabric Management Pack enables discovery and monitoring of guarded hosts and Host Guardian Service instances in your environment with System Center Operations Manager. The alerts surfaced by this management pack will help you quickly detect and remediate service availability issues with the Host Guardian Service and Hyper-V host misconfigurations that could prevent you from succesfully starting up shielded VMs. Please note that this is a preview release of the management pack and is not suitable for production deployments. This entry was posted in Management Pack, SCOM 2012 R2, SCOM 2016, Technical Preview and tagged #2012 R2, #2016, #Management Pack, #Technical Preview on June 13, 2016 by Warren Kahn. An update to the SQL management packs Community Technical Preview is now available here. There have been additions for SQL Server 2016 SSRS and SSAS and minor improvements to the other existing management packs. Hopefully when this reaches public release it will avoid the issues of previous SQL mp versions. 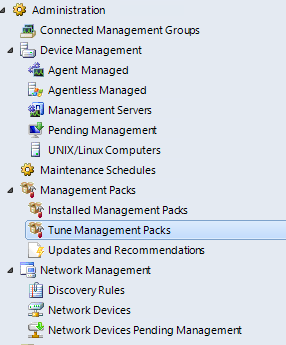 This entry was posted in Management Pack, SCOM 2012, SCOM 2012 R2, Technical Preview and tagged #2012, #2012 R2, #Management Pack, #Technical Preview on June 7, 2016 by Warren Kahn. Version 6.7.0.0 of the Community Technical Preview 2 for the SQL management packs have been released, they are available for download here. Added a feature to support Virtual Groups (groups defined by classes, not by real group instance). This will help users with partial access to use our predefined dashboards. Added a feature to Bulk Add tiles from the class definition. Fixed threshold percentage comparison of deactivated subscriptions workflow in Distributor. This entry was posted in #SQL, Management Pack, SCOM 2012, SCOM 2012 R2, Technical Preview and tagged #2012, #2012 R2, #Management Pack, #SQL, #Technical Preview on May 17, 2016 by Warren Kahn. 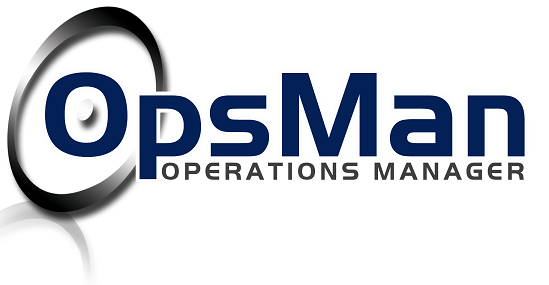 This entry was posted in Management Pack, SCOM 2012, SCOM 2012 R2, Technical Preview, Uncategorized and tagged #2012, #2012 R2, #Management Pack, #SCOM, #Technical Preview on May 3, 2016 by Warren Kahn. 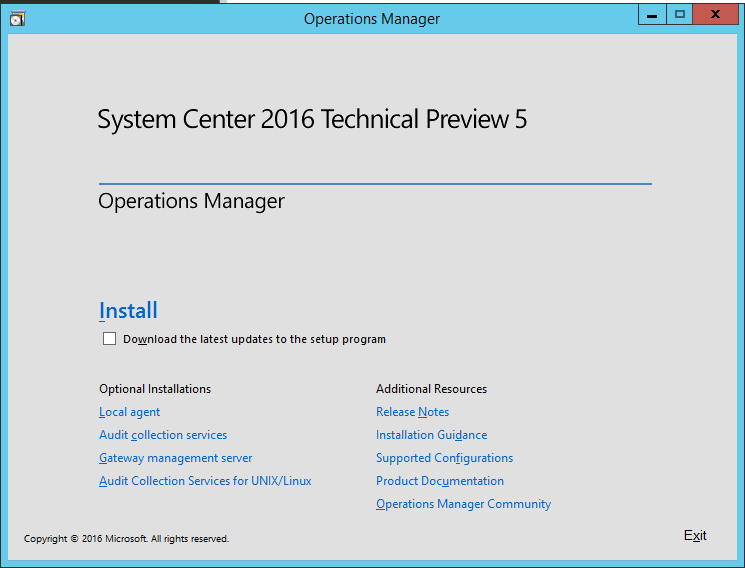 Technical Preview 5 has recently been released for SCOM 2016 you can get it here. This entry was posted in SCOM 2016, Technical Preview and tagged #2016, #SCOM, #Technical Preview on April 26, 2016 by Warren Kahn.